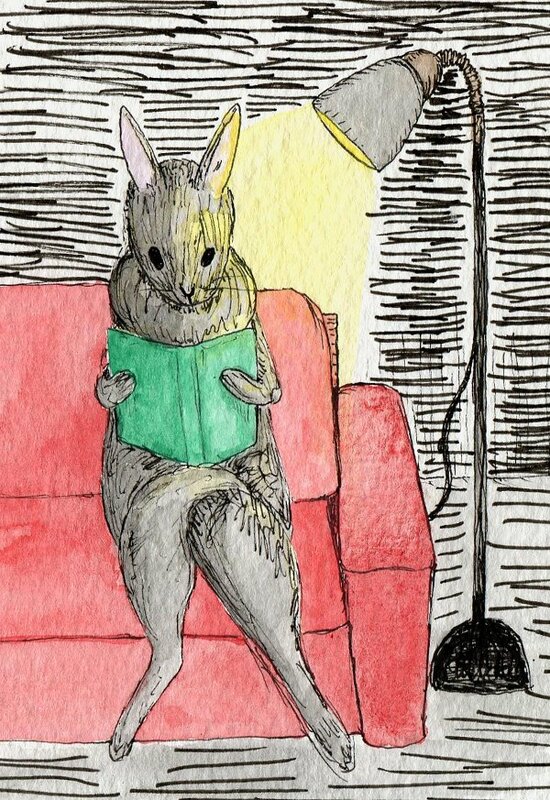 My rabbit really loves books. I wish this is what I meant. 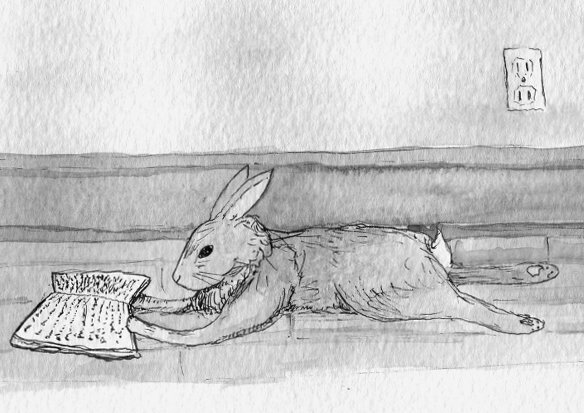 Very Beatrix Potter! I adore it, especially the last one! They are little chewers, aren’t they! What a darling rabbit!